If you feel that the GSS sales they have in the SG Superdry Stores are not up to par, you’re probably right. They always keep the good stuff in the back and we are all left with stuff that is blah. But! 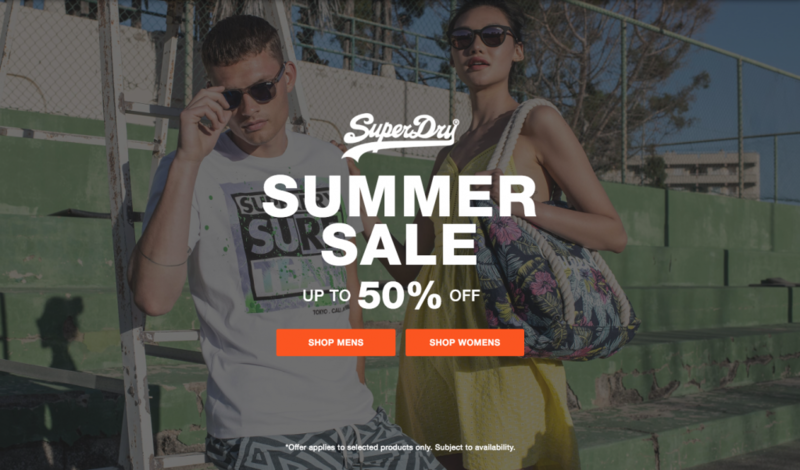 The Superdry online store is having this HUGE summer sale! We are talking up to 50%, so that could be half price worth of savings! This is the best moment to get the bag you have been thinking about for months. Or even a puffy jacket you need when you travel to winter countries. And of course BuyandShip ALWAYS helps you save by keeping shipping costs SUPER LOW.